The Cork Branch of the Irish Gay Rights Movement was established in 1975. The Dublin Branch of the IGRM had been set up in 1974. The Sunday World newspaper had published an article about the newly founded IGRM and gave a P.O. Box address for the group. A lot of people from Munster got in touch through the P.O. Box, and given the level of interest, it was decided to hold a meeting in Cork. 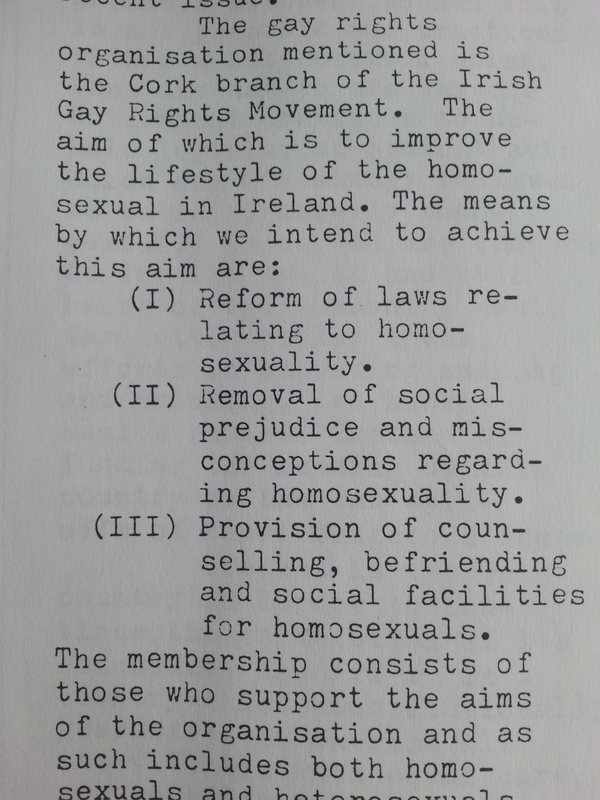 The aim of the IGRM was to improve the lifestyle of the homosexual in Ireland. (iii)Provision of counselling, befriending and social facilities for homosexuals. In July 1977 the IGRM rented premises at 4 McCurtain Street. This was Cork’s first gay centre. Weekend discos and social events were held here up to the mid 1980s. The gay centre provided a more public space for gays to socialise than the private parties. 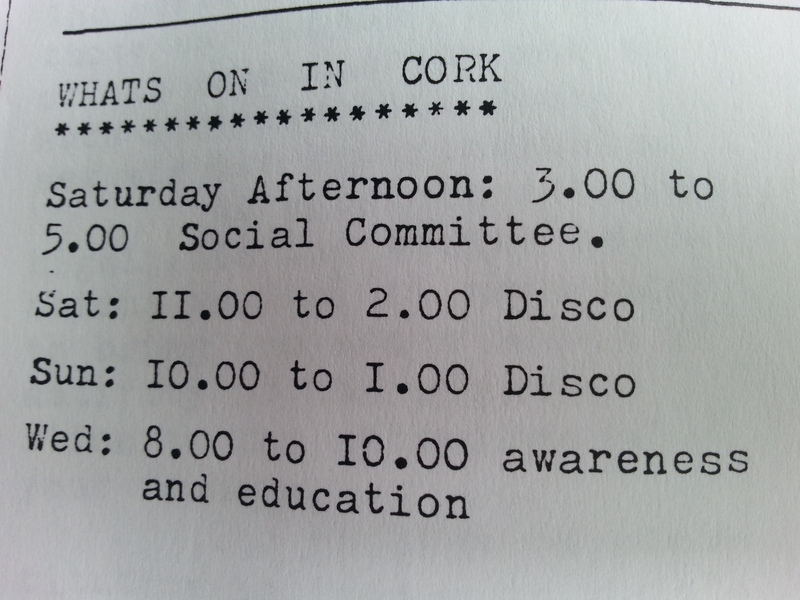 The Cork discos were predominantly male, but some lesbians did socialise there too. 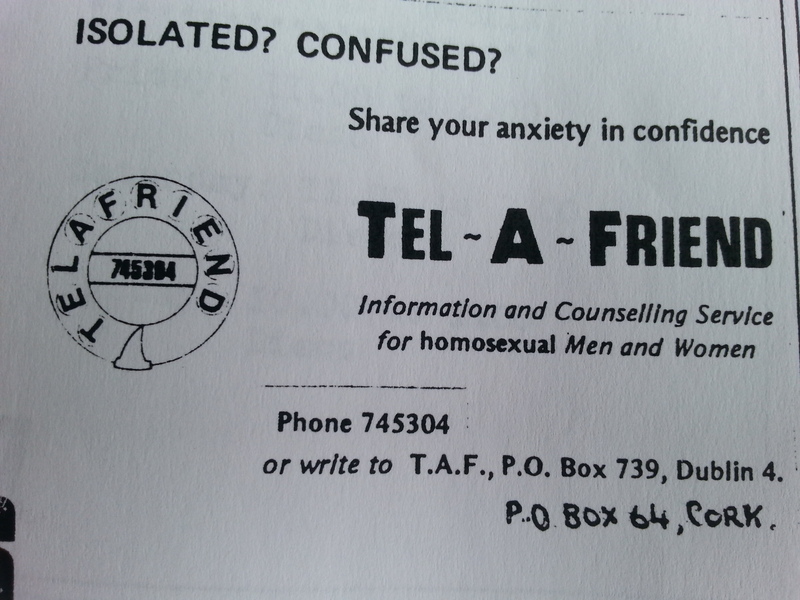 The Cork IGRM set up a telephone helpline / counselling service, Tel-A-Friend, to provide support and advice to gay people. In 1977 four issues of a Cork gay newsletter, Corks Crew, were published. 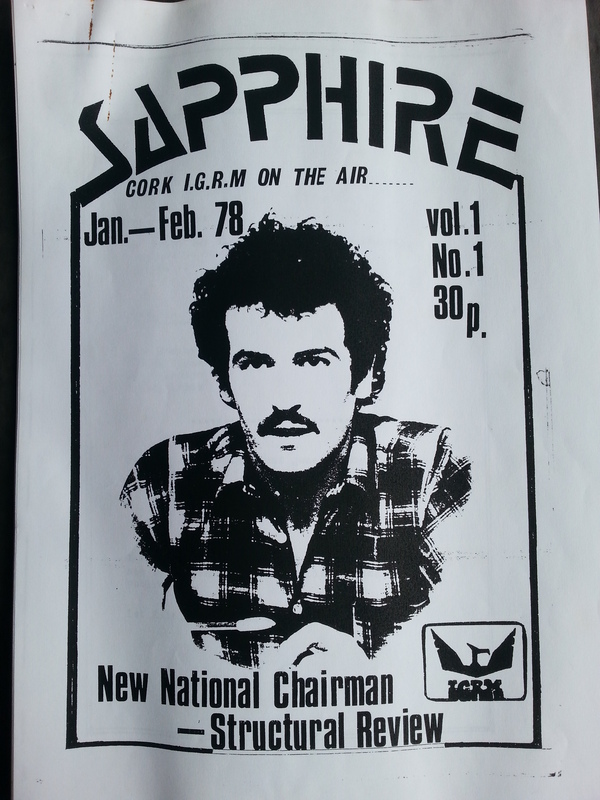 In 1978 the IRGM began to publish the newsletter Sapphire. The Cork IGRM engaged in informal discussions with local Gardai and members of the group participated in the radio programme “Homosexuals in Cork” in January 1978.